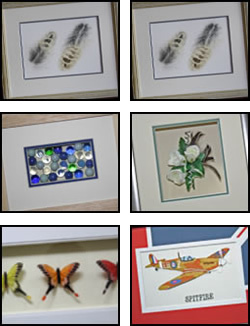 Your Picture Framer is a bespoke framer based in St John’s, Worcester. We pride ourselves on our ability to meet all the framing needs of both private and corporate customers.With many years of framing experience we are able to provide design advice and guidance for the most appropriate method of looking after your artwork. To find out more of what we can offer have a look around our website, call us or use the Contact page.